For the next couple of Thursdays I’m going to be sharing with you all of my Christmas preparation, the books I’m reading, the films I’ve watched, gift ideas I’ve found, and the festive events I’ve attended. Because, well, I LOVE CHRISTMAS SO HARD. I know I say it all the time, and so does everyone else, but WHERE THE HELL HAS THIS YEAR GONE? I’ve been so busy with work and RL that even December crept up on me this year. 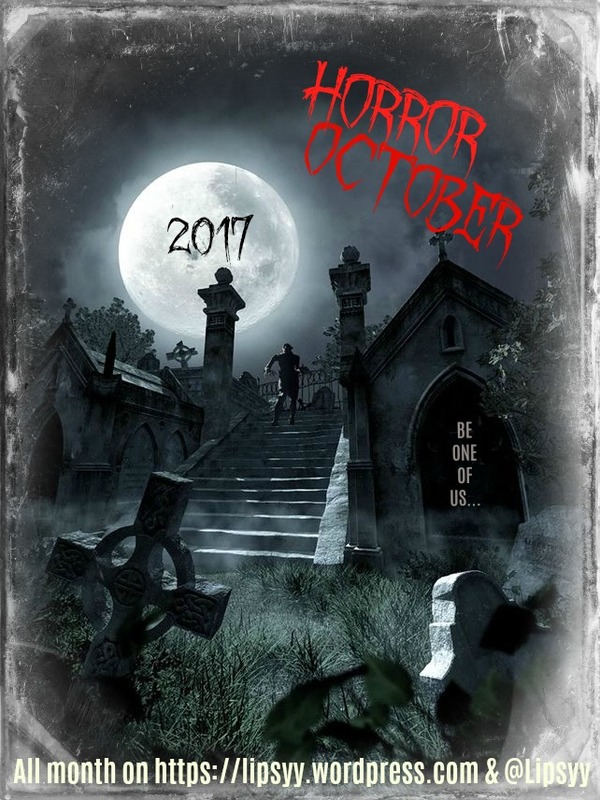 I’m usually cracking out the Christmas films as soon as Halloween is over, but this year has been a bit more slow on the up take. 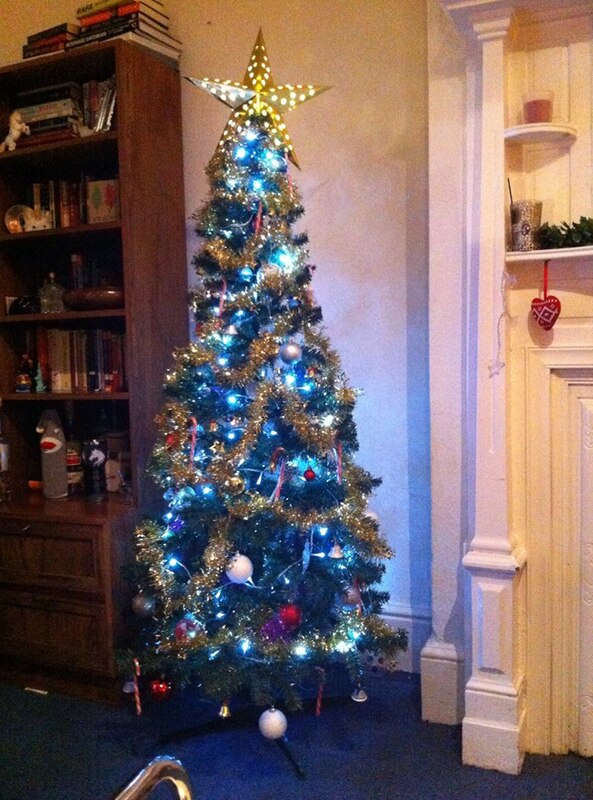 I have however, finally made a start, and managed to do quite a lot of Christmassy things in the last week or so. 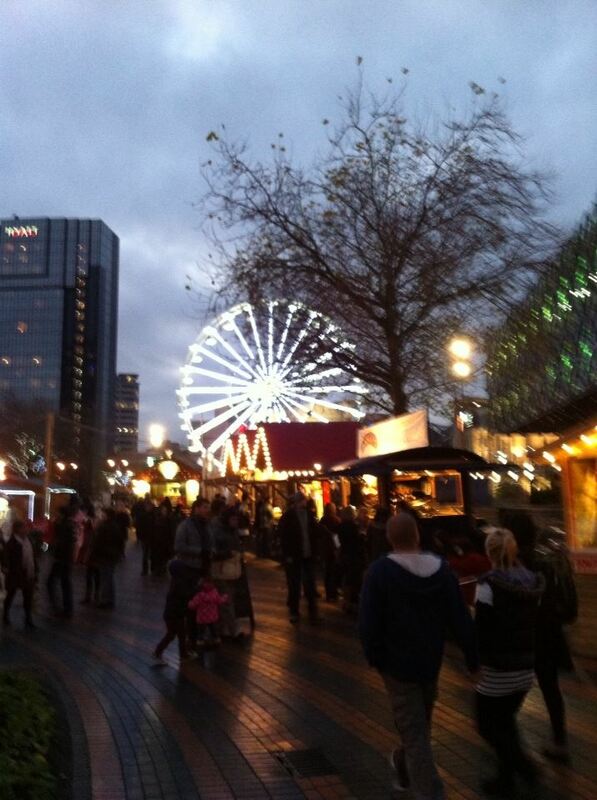 The first time I feel festive usually coincides with the start of the Christmas market in my town and on the Southbank. I didn’t manage to make it to the lights switch-on this year, but I have already sampled the mulled wine (much better this year), and devoured a hog roast from the local market and it was gooooooood. I had a really hard time deciding which seasonal reads to add to my shelves this year. I bought a couple from a charity shop a couple of weeks ago, and I was approved for the following book on Netgalley which I’ve just finished. Yes, my decorations are up and I love them! I went all out this year and bought some new items which I hope I’ll keep for a long time. 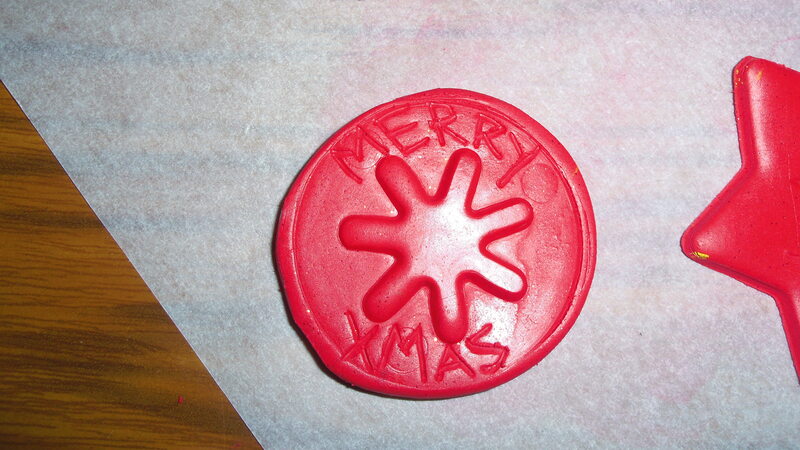 I also made some of my own decorations this year, from melting glitter beads in the oven, in cookie cutters. They were so much fun and easy to make and they look amazing hanging in front of fairy lights on the tree. I sold a set on Etsy, and there is still one set of 6 up for grabs. You can see them here. I went to see a special screening of Gremlins at my favourite cinema in London, in which BILLY did a Q&A, and brought Gizmo with him, of course. It was great! It’s one of my favourite Christmas Films! 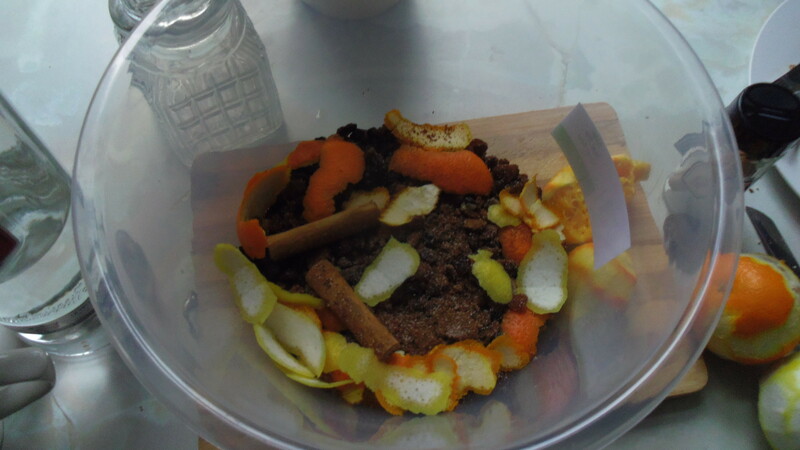 I’ve had my fruit and spices soaking in brandy for around six weeks now. I was only planning on around 3 weeks but I just never made the time to bake the cake. I did finally bake it last Sunday though….it better be good! All that’s left to do is feed it more brandy syrup (of course) and ice it. I use this recipe here, which has great results even without soaking your fruit – so there’s still time! Next week: Winter Wonderland @ Hyde Park, Christmas Pudding Vodka and Christmas muffins, and what I’m reading and watching! 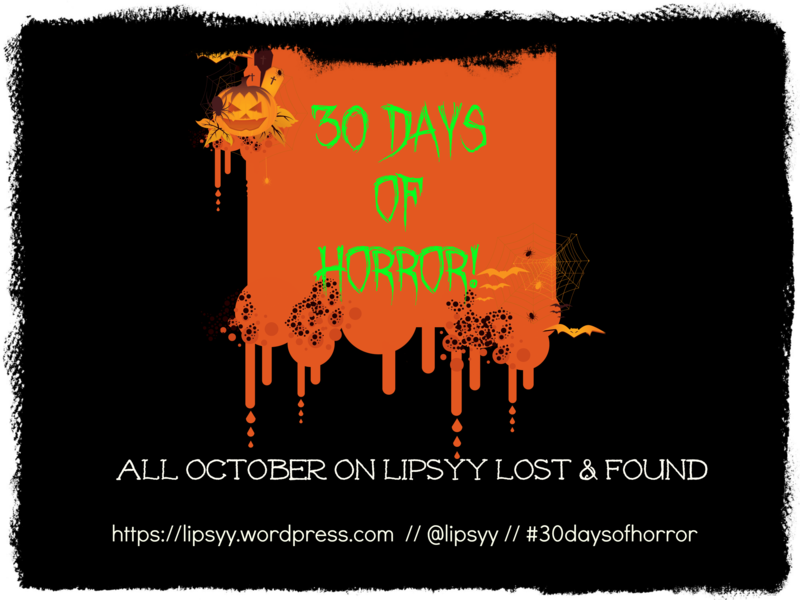 Author lipsyyPosted on December 10, 2015 December 8, 2015 Categories Festive Thursdays, UncategorizedTags Christmas, Christmas Cake, Christmas Decorations, Christmas Markets, Festive Fun, Gremlins, Life, Mulled wine, Recipes1 Comment on Festive Thursdays are back! Festive Thursdays: So much festive! Every Thursday I’m going to be sharing with you all of my Christmas preparation, the books I’m reading, the films I’ve watched, gift ideas I’ve found, and the festive events I’ve attended. Because, well, I LOVE CHRISTMAS SO HARD. I didn’t manage to post last Thursday, but to be honest I didn’t do much anyway, other than making a mini Gingerbread House and watching Frozen four times in two days. No, really. As I mentioned in my first post, I’m putting together some Christmas hampers to give as presents this year. Everything is going to be made by yours truly, with the exception of the baskets/boxes (which I don’t have yet), and the jars! 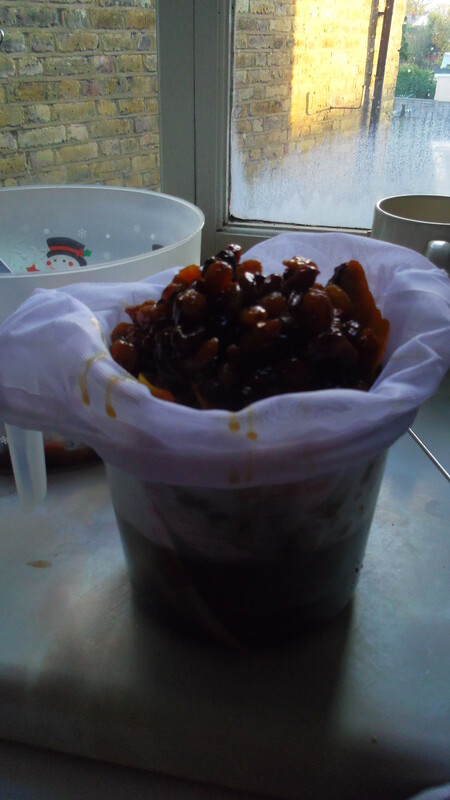 This week, I made a start on making individual Christmas cakes by soaking the dried fruit in a whole bottle of cherry brandy, and a glug of honey brandy to boot. It smells amazing, and after a week I think it’s ready! I know some people soak their fruit for months but I don’t think it’s necessary. I pour brandy over the cake afterwards anyway. More booze than cake is my motto at Christmas! This is the recipe I’ve roughly followed over the last couple of years. It’s one that doesn’t require soaking at all, but I still do. 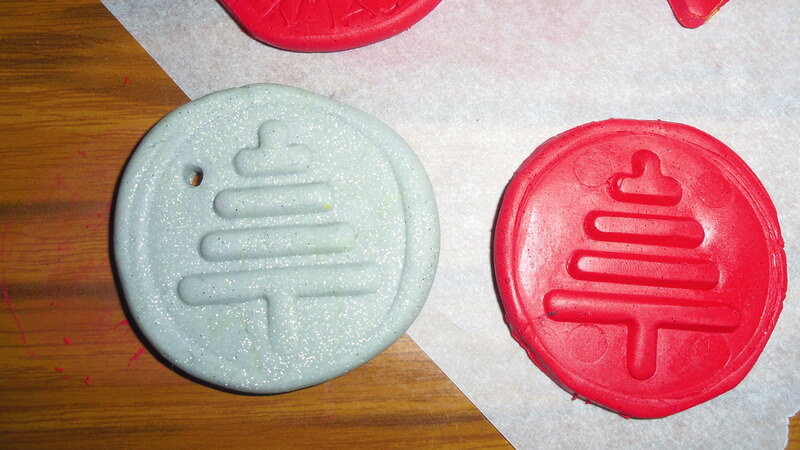 Hopefully I’ll have stage 2 – baking & decorating – done for next week’s post. I’d never made jam before, or even chutney, but was assured it’s quite easy, and it really was! I wanted a ‘jam’ that was spicy to suit my Dad and Brother’s tastes, but was also Christmassy, so I combined two different recipes – this Nigella one, which is so simple, and I added some clove-studded apples to the mixture as it boiled, which I’d seen in a different recipe I was tempted to try. 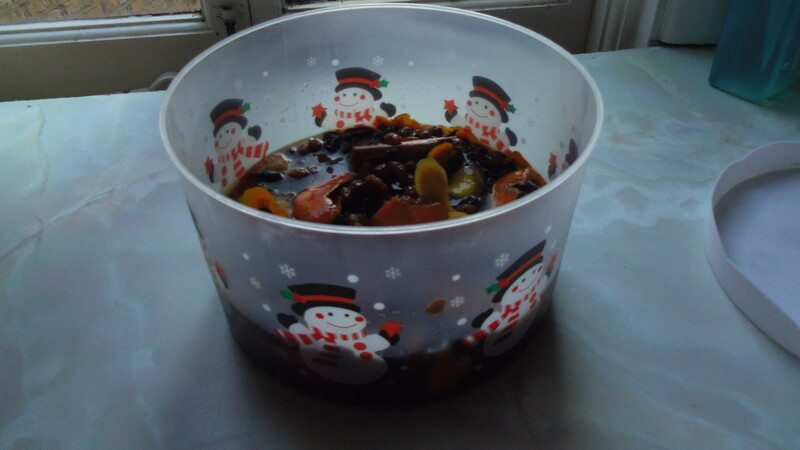 I also used a few different types of chillies and preserving sugar instead of regular. At first I thought it wasn’t going to set, but after an hour cooling, and 30 mins in the fridge it firmed up and is a perfect consistency. 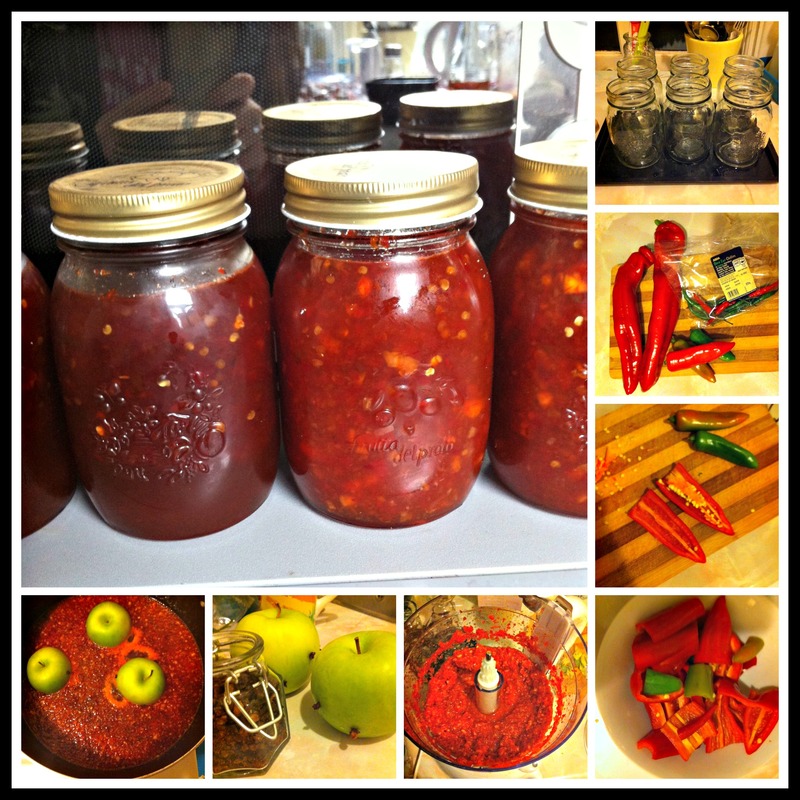 The only fail – it only filled two of my jars so I had to make some more. But it was so easy it didn’t matter! For the second batch, I added a whole lemon to the chillies (instead of the apples) and blitzed the whole lot. And I ran out of preserving sugar so just used regular. It came out just as good, and the lemon tastes really great with the chilli. This one’s my favourite. I might have to keep one for myself! I read, and pretty much devoured this book! My review will be up on Monday, hopefully. 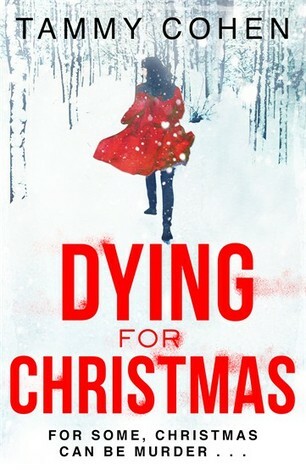 I also posted my review of Dying for Christmas – an altogether different kind of Christmas read! 4. Christmas 24 and the rest! I’m such a sucker for those made-for-TV Christmas films. Seriously, I can’t get enough. Most of them are terrible, but in a really good way. And now and again you find some that are actually great, in nothing but a great way! This week however, I watched One Christmas starring a very old and scary-looking Katharine Hepburn and THE FONZ. Sounds great right? Wrong. It was so, so bad, and not very festive at all. Avoid! 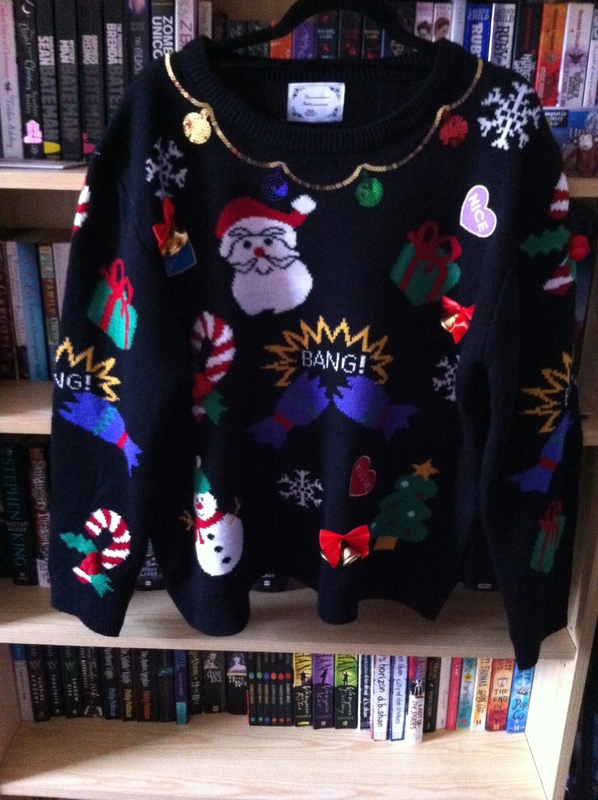 This week I also bought a new Christmas jumper which is AMAZING and I bought some red candles in the hopes that I’d find a cheap candelabra thing to put in the window but I couldn’t find one. Any ideas for my candles? There’s always wine bottles I guess. Bit boring though. Up Next: More festive reads, my Christmas cake progress, and hopefully salted chocolate & cinnamon fudge gets added to my hampers. And I’m going to an ELF Quote-A-Long at my favourite cinema. Yessss! Author lipsyyPosted on December 11, 2014 Categories Festive Thursdays, UncategorizedTags A Christmas to Remember, Chilli & Lemon Jam, Chilli Jam, Christmas 24, Christmas Cake, Christmas Films, Christmas Jumper, Chrsitmas Hampers, Dying for Christmas, Festive Reads, Homemade Gifts, Jenny Hale, Quick Christmas Cake, Tammy Cohen7 Comments on Festive Thursdays: So much festive! Festive Thursday: Pickled Onions, London Events & Tree Decorating! This week, the festive season really kicked off for me. My mum came to visit at the weekend and we just couldn’t NOT spend the whole weekend doing Christmassy things. I also completed stage one of my Christmas Hampers and enjoyed a Christmas film or three. 1. The Ideal Christmas Home Show: Thanks to a friend I managed to get two free tickets to the exhibition show at Earl’s Court. In theory it was beautiful and festive, full of Christmas gifts & decoration ideas and freebies. In practice, it was beautiful and festive, but it was also so rammed so you could hardly move through the stalls, never mind get your hands on the freebies. We still managed to have fun though. 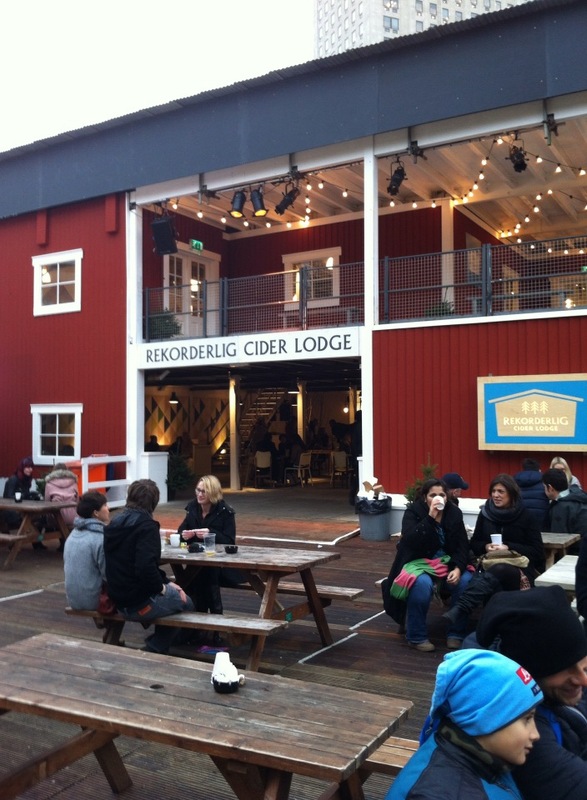 We hugged a snowman and drank many a mulled wine, so no real complaints here! 2. 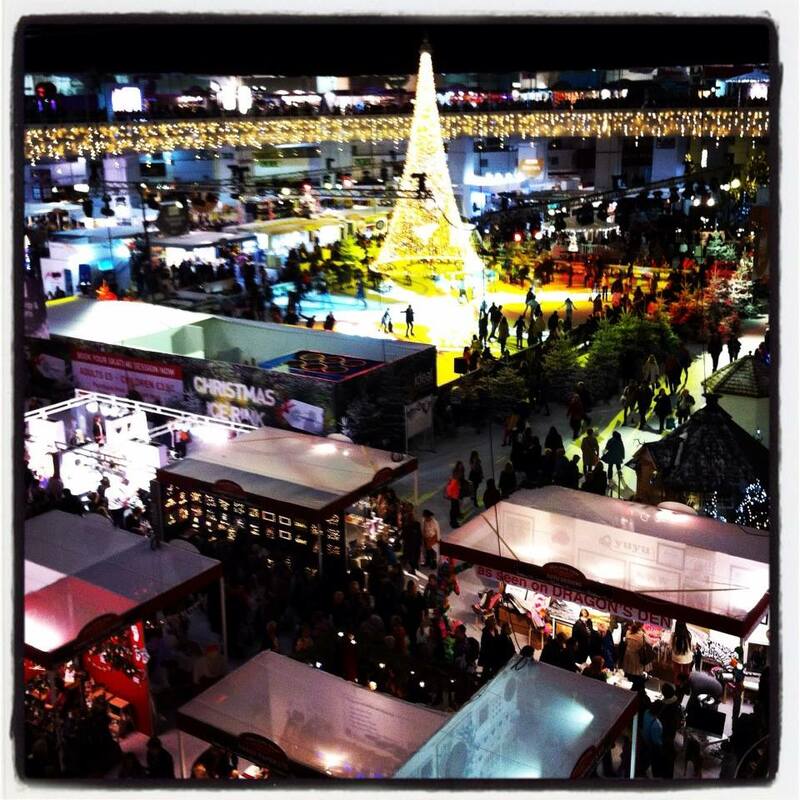 Southbank Christmas Market, London: My mum had never been to the Southbank so after I picked her up from Euston we had a wander along the Thames sampling the delights of the Christmas market they have there every year. They’ve changed it quite a lot this year, incorporating a huge cider lodge, a Christmas train (which looked quite pathetic to be honest), and also a Christmas tree maze which I was excited about, but it didn’t look worth £4! 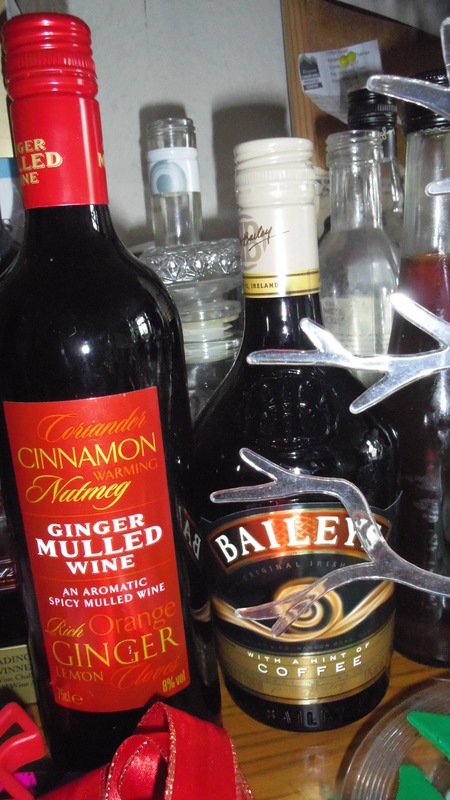 We tried some amazing toffee vodka, and enjoyed a steaming cup of mulled wine with brandy. Welcome to Christmas. 4. Too Many Festive Books? While I was compiling my Top Ten Winter Reads for this year, I realised just how many festive books I’m planning on reading. And the list keeps growing thanks to you fellow bloggers! How many is too many?? 5. Christmas Hampers: This year I’m buying very few presents, and instead have decided to give homemade hampers to family and friends. I thought about doing it last year too, but never got round to it and seeing as I got made redundant last month it makes sense to do it this year. But it’s not just about not having the money, I think spending time making something is a much nicer gift than anything I could buy. I just hope I can pull it off. 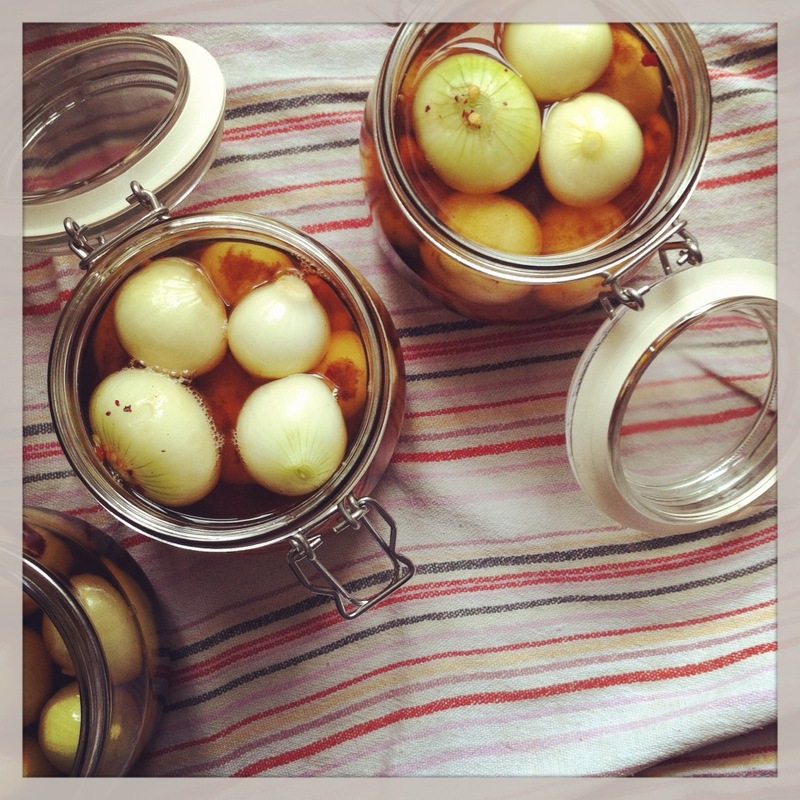 The first stage was to pickle some onions, which I am now storing in a dark vault, to pickle away ready for Christmas. Find out what stage two consists of next week! 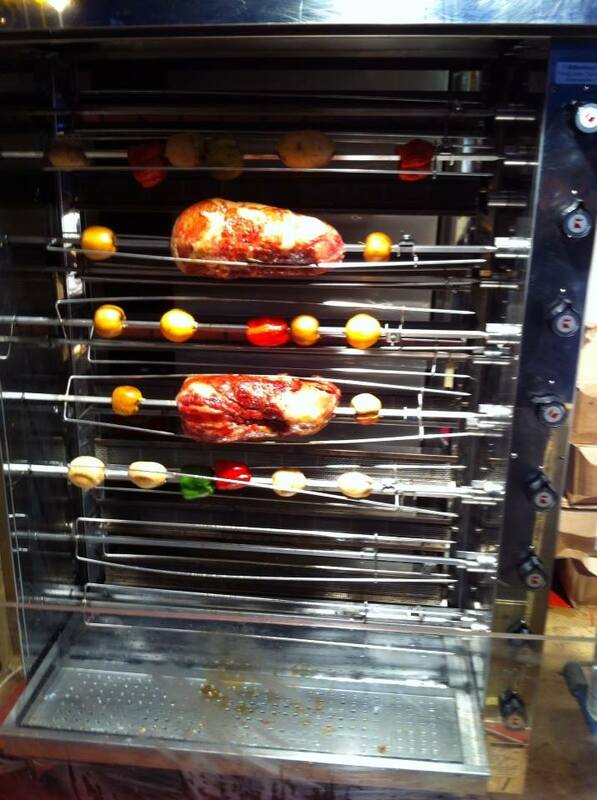 How are your Christmas preparations going? Let me know! Also, I’m not sharing these posts on FB as I don’t want my family to see what I’m putting in my Christmas Hampers, I’m hoping they don’t check my blog that often (if at all)…if you do, LOOK AWAY ON THURSDAYS!!! Author lipsyyPosted on November 27, 2014 Categories Festive Thursdays, UncategorizedTags Christmas, Christmas Hampers, Christmas Tree, Festive Reads, Homemade Gifts, Ideal Christmas Homeshow, London at Christmas, Pickled Onions, Southbank4 Comments on Festive Thursday: Pickled Onions, London Events & Tree Decorating! If you missed the memo, IT’SSSSSSSSSSSSS CHRISSSSSSSSSSSTMASSSSS! Or at least it’s fast approaching! If you can’t tell, I’m already as excited as a 6 year old on Christmas morning, and I’m so pleased I can do these posts again. The Christmas Lights Switch On: The lights were switched on where I live last week, (too early some might say). There were real reindeer and a real-life snow globe with ballet dancers and glitter. It was magical. But more on that next week! The German Christmas Market: The German Christmas market is back in town and I’ve already sampled the mulled wine (average) and tried on the animal hats (standard). But I am yet devour a bratwurst. Nothing says Christmas like bratwurst, right? Dying For Christmas: I am, obviously. But I’m talking about my current read. Dying for Christmas by Tammy Cohen is out today, so I need to get a move on. It’s not the most Christmassy-looking book to kick of my festive reading but I think it’s going to be a great read. I am missing. Held captive by a blue-eyed stranger. To mark the twelve days of Christmas, he gives me a gift every day, each more horrible than the last. The twelfth day is getting closer. After that, there’ll be no more Christmas cheer for me. No mince pies, no carols. No way out . 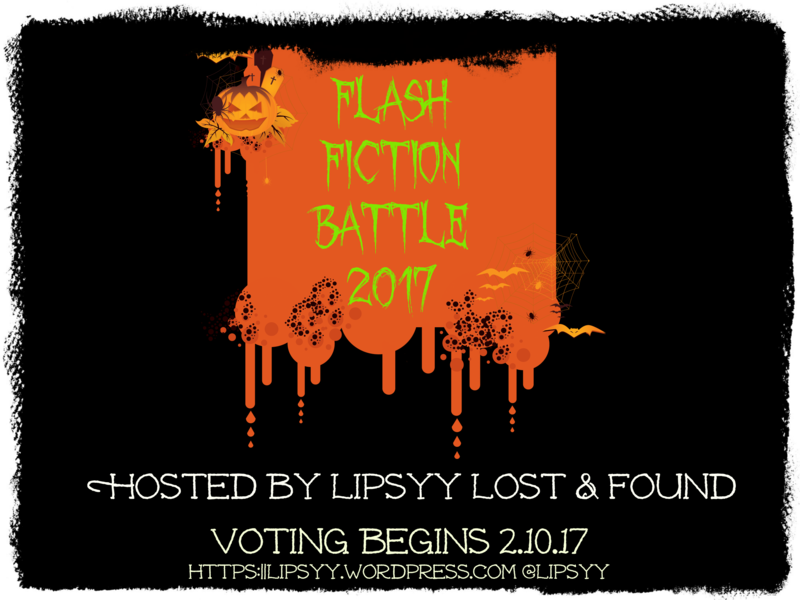 Author lipsyyPosted on November 20, 2014 November 28, 2014 Categories Currently Reading, Festive ThursdaysTags Christmas, Christmas Preparation, Dying for Christmas, Festive Reads, German Christmas Market, Kingston, Tammy Cohen10 Comments on Festive Thursdays are Back! We should be used to this by now shouldn’t we!? Christmas happens every year. We say we are are going to be prepared and not stress out but every single year December just seems to fly by without warning. It’s not like I have loads of things I HAVE to do at Christmas, my mum practically does everything, all I am in charge of this year is the Christmas dinner starter and the pigs in blankets, but there are always too many things that I want to do in the lead up to Christmas but never get round to, because it goes so bloody fast! 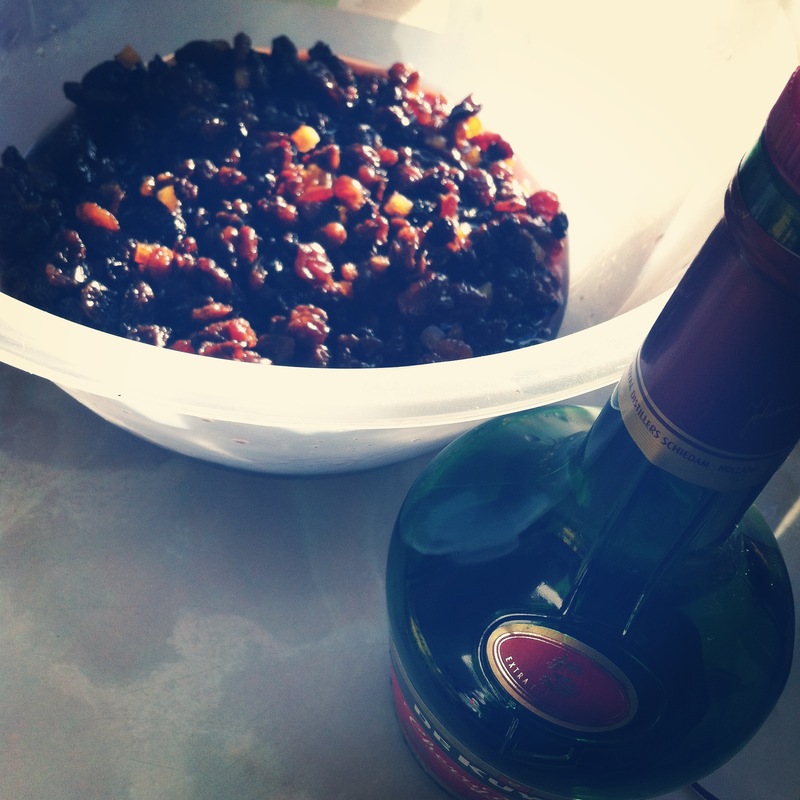 I did cross making Christmas pudding vodka off my list this year at least. But I didn’t get round to making a Christmas cake, or gingerbread, and I haven’t even watched A Muppet’s Christmas Carol yet. I know, disaster right!? 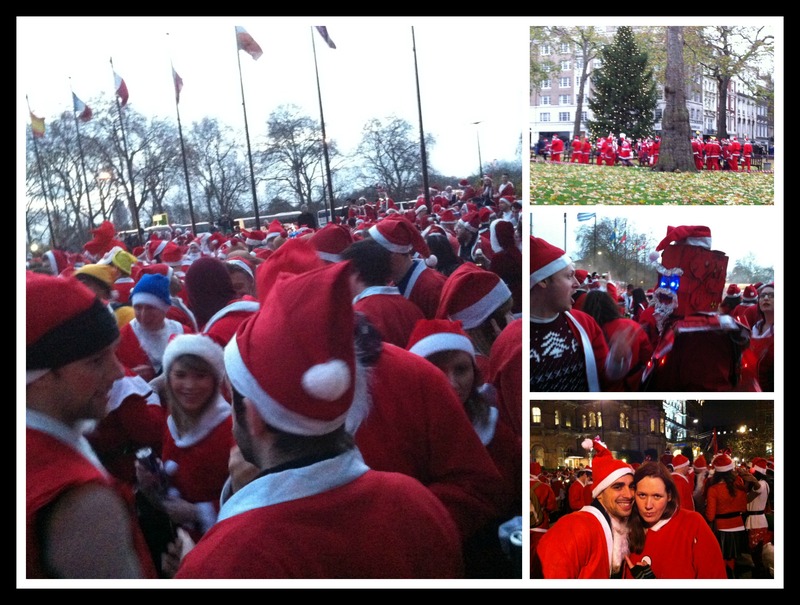 I did however attend London Santacon which is quickly becoming one of my favourite days of the year. That is me bottom right, I have no idea who that other Santa is. 1. Santa Claus, The movie – (No, not the Tim Allen one although I am also a fan of that.) Me and my mum nearly always watch this on the afternoon of Christmas Eve, in our pjs, lying on the sofa. Bliss. 2. The Muppet’s Christmas Carol – I broke my own tradition this year by failing to watch (and sing) this while I’m wrapping presents. But do not fret, a viewing is on the cards. 3. Home Alone – This is what I actually watched this year when I was wrapping my presents, and according to my Twitter and fb feeds, I think the whole of the UK was watching it too. 4. ELF – Or ELLLLLLLLLLLLLF as I like to call it. This has been a steady climber to the top of my list. Every time I watch it I love it a little bit more. Even though I usually hate Will Ferrell films. 5. Gremlins – It’s between this and Die Hard. Both of them aren’t always thought of as Christmas Films, and are obviously quite different to the rest but they are awesome, and definitely ARE Christmas films. Others worthy of mentions are Bad Santa for the lols, Narnia for the magic and Black Christmas from the rubbish slasher remake. And one that I have shockingly never seen – It’s a Wonderful Life. This year has to be the year! And I went to see Frozen last night, it was AMAZING. One of the best Disney films I’ve ever seen! 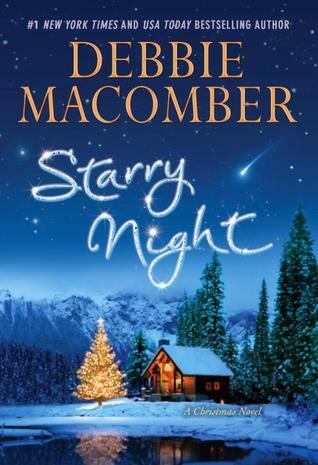 I recently finished (and enjoyed) Starry Night by Deborah Macomber. You can read my review here. So when her oldest friends invite her to spend the holidays with them, it seems like a dream come true. She’s been promised log fires, roasted chestnuts, her own weight in mince pies – all in a setting that looks like something out of a Christmas card. But her winter wonderland is ruined when she finds herself snowed in with her current boyfriend, her old flame and a hunky stranger. Well, three (wise) men is traditional at this time of year.. If you missed part 1 of my festive antics, you can see it here. I’m not sure if I’ll be posting next week or not, it depends on how much time I get so I hope you all have a wonderful Christmas/Holiday/Family time etc! 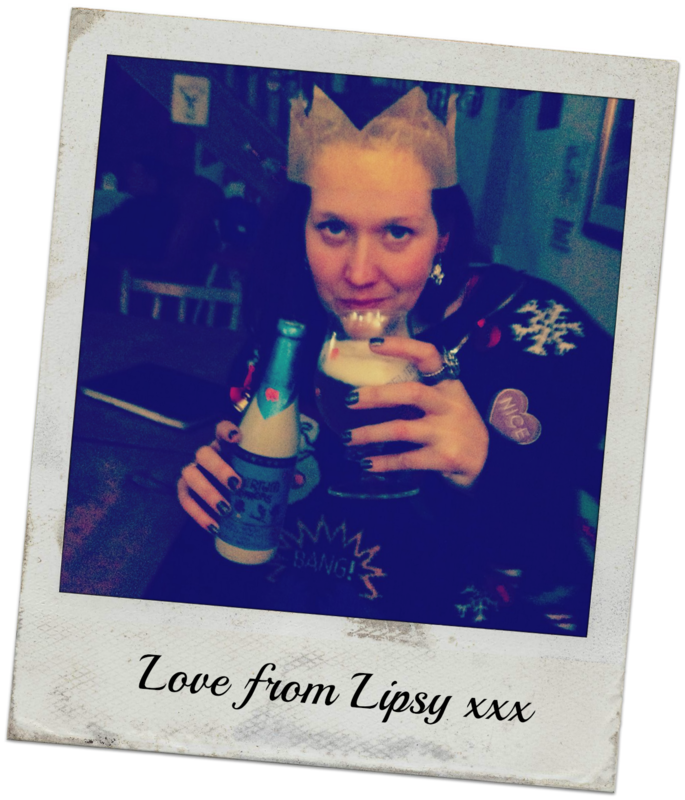 Author lipsyyPosted on December 19, 2013 Categories Festive Thursdays, UncategorizedTags Christmas, Christmas Films, Festive Reads, London Santacon, Santacon 20131 Comment on Festive Thursday (part 2)! 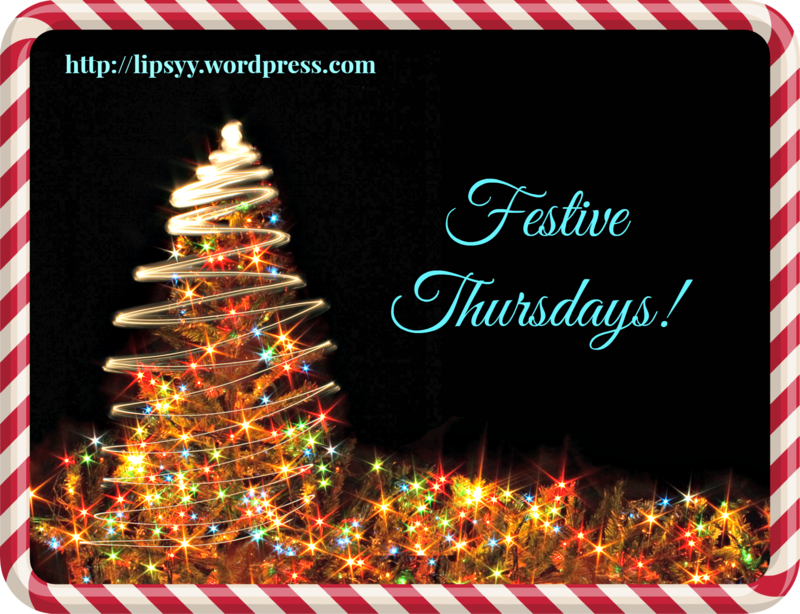 Festive Thursday – Part 1. As I was deciding what to put in this post it dawned on me that there are only 2 Thursdays (this one included) left before Christmas Day…and I have already done SO MANY festive things to talk about so I am going to let some (badly taken) photos do most of the talking. 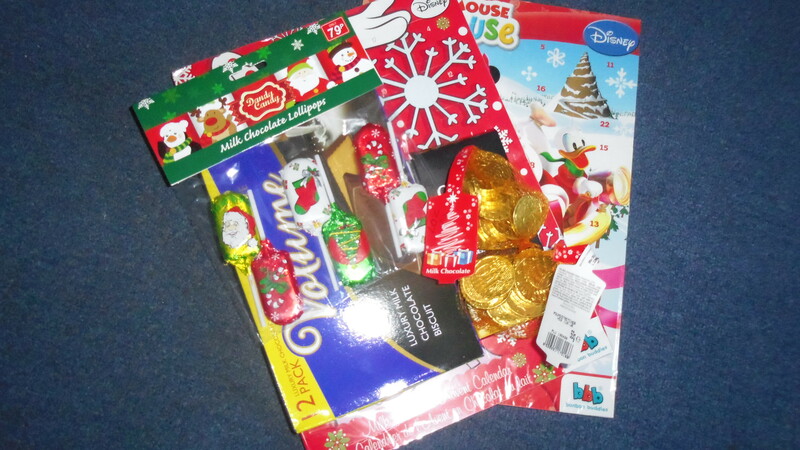 My Christmas excitement this year started the same way it always does; when I received a package from my Mum & Dad containing some chocolates, advent calendars for me and my flatmate Dora, and the message ‘Santa is Coming’, which cracks me up every time. 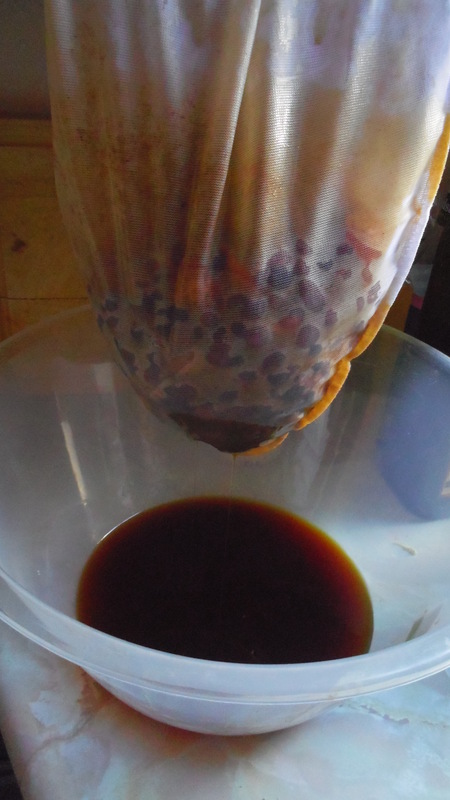 – One of the first things I did was set about making some Christmas Pudding Vodka. Gotta get your priorities right. I’ve heard about this a lot in recent years but never tried any, nor made any of my own. There are loads of different recipes out there (Google is your friend), so I chose the simplest one with the least ingredients and it turned out great. – I am already making my second batch as I drank too much of the first and was supposed to give it away as presents. Oops. 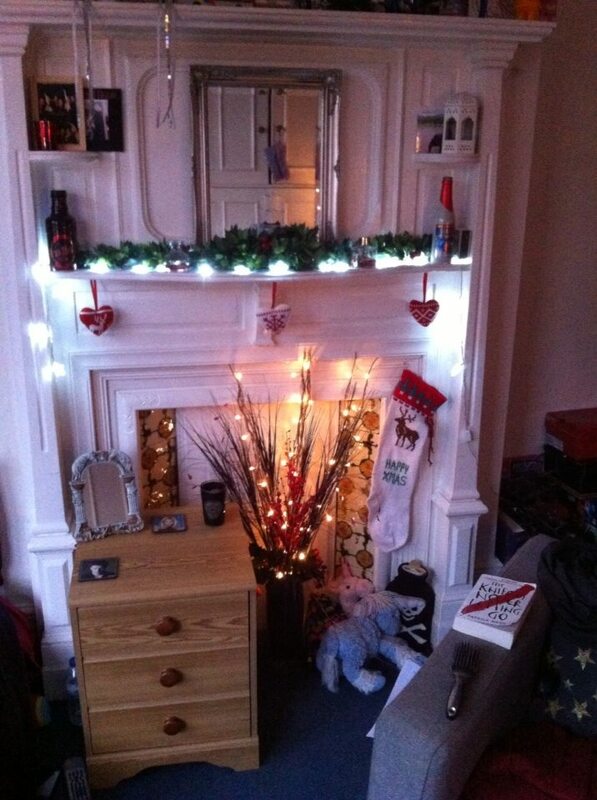 – I put up some decorations whilst listening to the Michael Bublé Christmas album and A Very She and Him Christmas. Zooey Deschanel has such a beautiful voice! 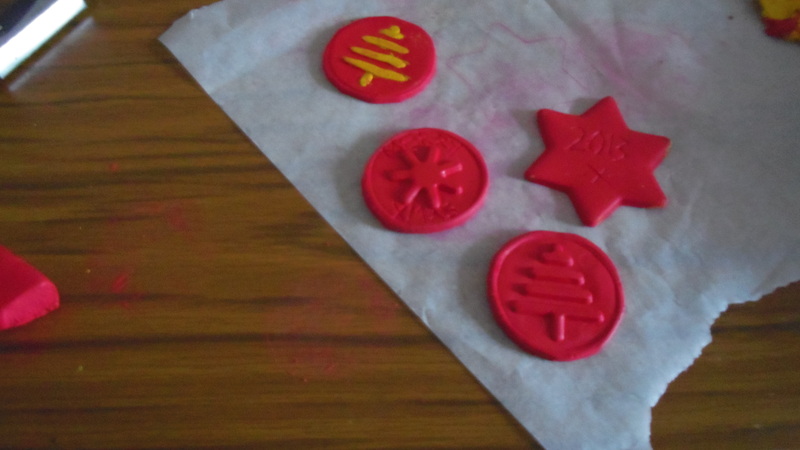 – I also made some cute little gift tags/tree decorations out of Fimo modelling clay. This is 2nd year that I’ve enjoyed making these. I’m not really a crafty person and get bored with fiddly things quite easily but it’s hard to wrong with Fimo. These are nice to put on ribbons and tie around gifts and the lucky recipient can then hang them on their tree if they so wish. My family were really impressed last year. 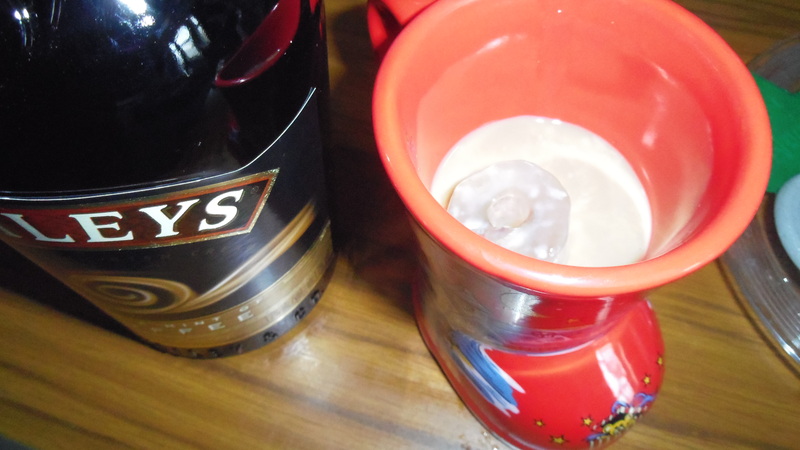 It is not Christmas without an abundance of booze in my book, and Bailey’s is one of my favourite treats at Christmas. The coffee flavoured one is dangerously yummy. Mulled Wine is also up there, and is probably one of my favourite things about Christmas in general. It’s really simple to make at home and can not fail to make you feel all festively warm and fuzzy inside. But the lazy pre-made bottles will do too. 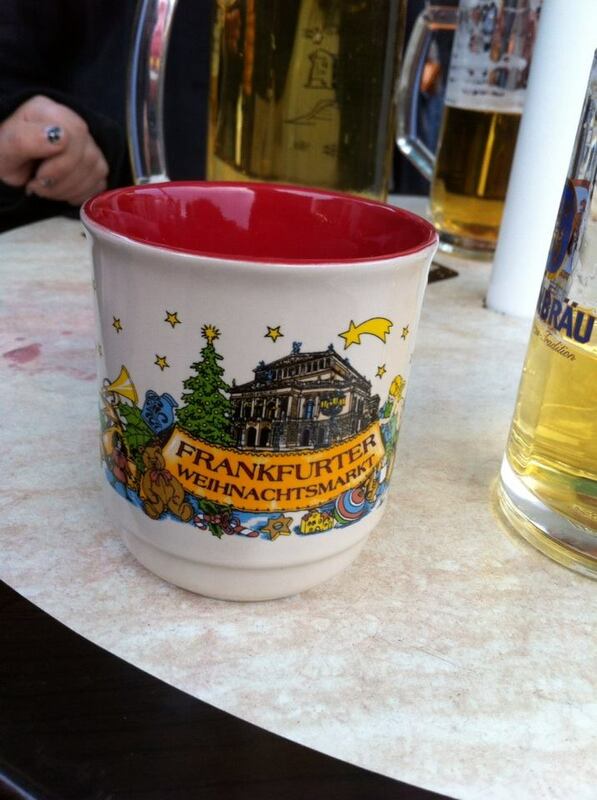 One of the best places to buy mulled wine though, is at the German Christmas Markets which are so popular these days. I have a little collection of ‘mulled boots’ that I’ve bought from my local Christmas market in previous years. 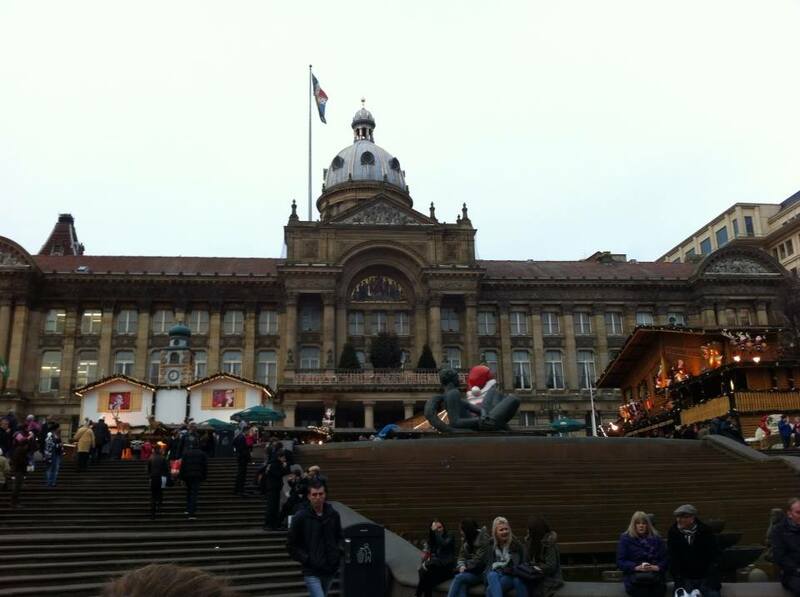 This year however, our market is quite disappointing so when one of my friends told me that the Christmas market in Birmingham where she lives is the 2nd largest in Europe, the train ticket just seemed to buy itself. They didn’t have boot mugs, but oh my, was it Christmassy! And I wanted to eat EVERYTHING. 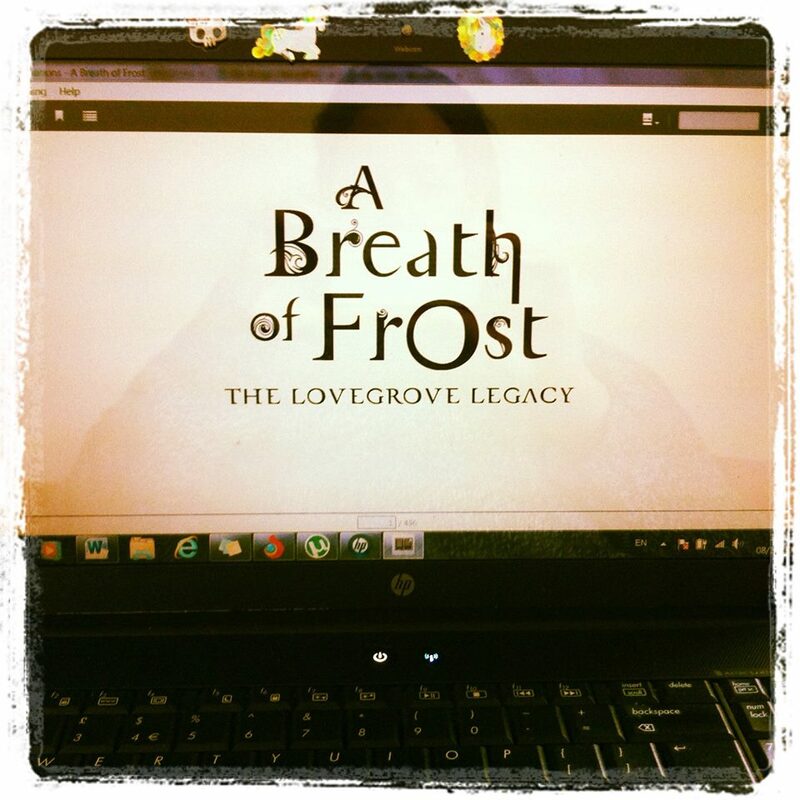 I started reading A Breath of Frost, and Starry Night. And I must say, as soon as I picked up Starry Night I didn’t want to put it down so I’ve abandoned A Breath of Frost for now. Not that I wasn’t enjoying it, but it’s just not Christmassy enough right now. Coming up in part 2 next Thursday: My favourite Christmas Films and SANTACON!! Author lipsyyPosted on December 12, 2013 Categories Festive Thursdays, UncategorizedTags A breath of Frost, Advent calendar, Birmingham, Christmas market, Chritmas Pudding Vodka, Festive Reads, Fimo, Gift Tags, Mulled wine, Starry Night, Tree Decorations, Zooey Deschanel1 Comment on Festive Thursday – Part 1.